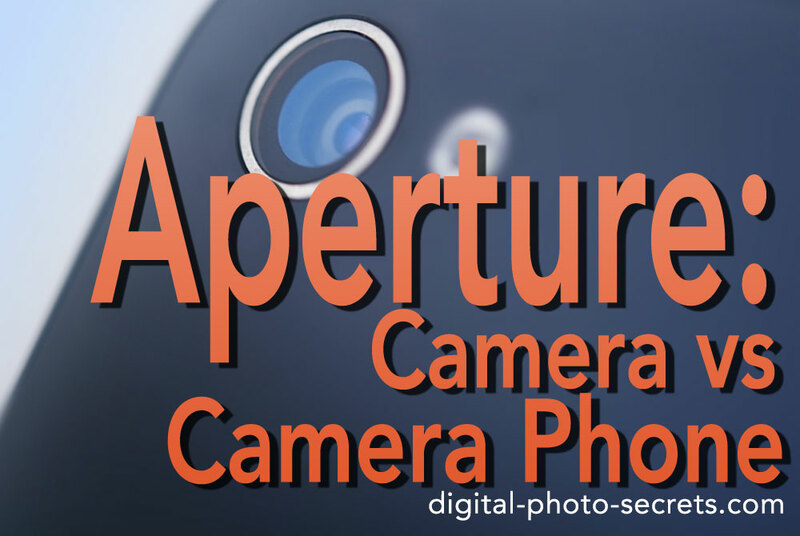 If you own a camera, you've probably at least heard the term "aperture." But your understanding of what that means may depend a lot on what kind of camera you own, and how you use it. Today, I'll explain exactly how the aperture setting affects your images, and what aperture settings to use in which situations. 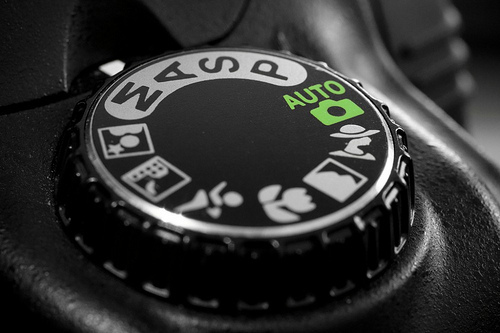 If you're a snap shooter and your primary camera is a basic point and shoot, you may find it easiest to choose your camera's settings based on those little icons. You know the ones I mean: a little running person for high-speed sports, a flower for those close-ups, a mountain for landsapes - depending on how fancy your point and shoot is, you may even have separate settings for dogs, cats, sunsets, fireworks and food. All of these settings make it really easy for you to shoot great photos under various conditions without putting a lot of thought into it. And depending on how involved you are at the event you're photographing, you may not really want to put a lot of thought into your camera's settings. And that's fine. But there are still a bunch of reasons why you should understand what is happening in your camera whenever you choose any one of those little icons. Understanding how your camera makes a great exposure means that you'll be able to transition pretty seamlessly from that point and shoot to a DSLR, should you ever decide you want to take photography more seriously. And that DSLR and your knowledge of how to use it will mean even better photos, and more importantly, control over those photos and how they look. The trifecta of photography is ISO, shutter speed, and yep, you guessed it, aperture. Many professionals will tell you that you can't truly master photography until you understand all three. 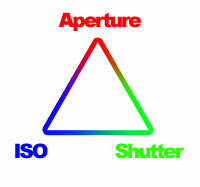 And frankly, aperture is probably the most important and complex of the three. Fortunately, it's not so complex that you can't understand and start making use of it after a couple of short lessons. So here you go. This is an illustration of your camera's lens at various f-stops, or, more specifically, of the "diaphragm," which is the mechanism that controls how much light reaches your camera's sensor. Think of this like your camera's pupil. When you're outside in bright sunshine, the pupil in your eye shrinks to a mere pinpoint, which keeps too much light from reaching your retina. This is the reason why you aren't blinded in bright sunshine, and it's also the reason why it hurts when you transition quickly from a dark room to the bright outdoors - your eye needs some time to adjust to the change in light. Likewise, when you are in a dark room your pupil gets bigger, allowing more light to reach your retina. Your camera's diaphragm works in exactly the same way: a wider aperture allows more light to reach the camera's sensor, just as a wider pupil allows more light to reach your retina. A smaller aperture allows less light to reach the camera's sensor, just as a smaller pupil allows less light to reach your retina. Now, more than one snap shooter gets confused by the whole f number thing, and it's easy to see why. f numbers seem at first to be backwards. f/22, for example, is not a large aperture, as the large number might imply, but a small one. Likewise, f/4 is not a small aperture, as the small number might imply, but a larger one. One way to remember this is to think of f numbers as the denominators of fractions, which is the way they are written. 1/22, for example, is a smaller number than 1/4; hence f/22 is smaller than f/4. When you're taking photographs in a dark room or on the streets at night and you don't have a tripod or a stable surface that can double as a tripod, you might be tempted to just pop up that built-in flash. Don't do it! Your pop-up flash makes notoriously bad low-light photographs. Instead, try using the largest aperture your lens offers (you may also need to use a higher ISO, depending on how dark it actually is). That large aperture will let you capture the scene without a flash and all that ugly stuff that goes with it, such as harsh black "halo" shadows, washed out faces and red eye. Most indoor sporting events have pretty good light, but sadly not typically good enough for you to capture the speed of the event without motion blur. 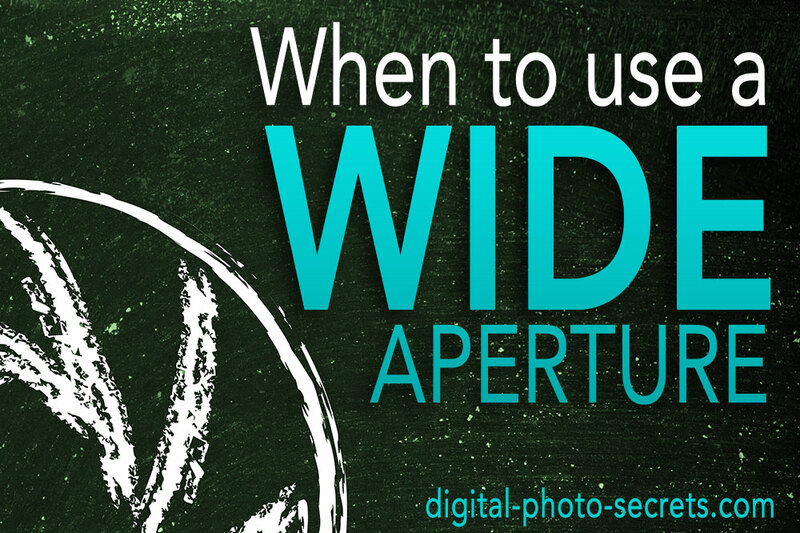 This is another situation where a wide aperture can help save your photographs. When shooting that indoor basketball or hockey game, pair the largest aperture your lens offers with a faster shutter speed. This will allow you to freeze the action despite the indoor lighting conditions. Depending on how fast your subject is and what the lighting situation is, you may also need to use a wide aperture to freeze motion in outdoor lighting conditions. It is helpful to be aware that fast motion may require a wider aperture and to always be aware of your camera's settings in these conditions, especially if you tend to shoot in a priority mode. Sometimes in very bright lighting situations - a beach or a snowy scene, for example - your photo is still going to end up overexposed despite the use of a very fast shutter speed. In this type of situation, you will need to choose a very small aperture. The smaller aperture will allow in less light, which will in turn allow you to use a slower shutter speed and avoid overexposing the photograph. 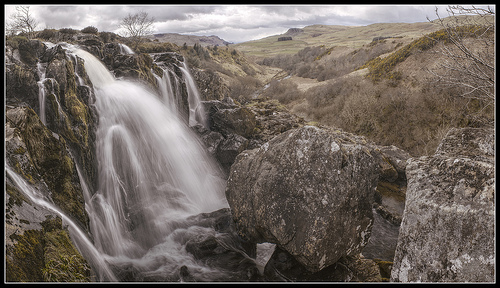 If you are taking photos during the day and trying to capture motion in running water, clouds or just somewhere else in the landscape, you will have trouble doing so without the help of a very small aperture. That's because at larger apertures it's impossible to slow down your shutter speed enough to create motion blur of any kind. Now depending on what your goals are a small aperture alone may not be enough - you may also require the assistance of a neutral density filter. But for very slight motion blur a small aperture and a tripod may be exactly what you need to capture the shot. 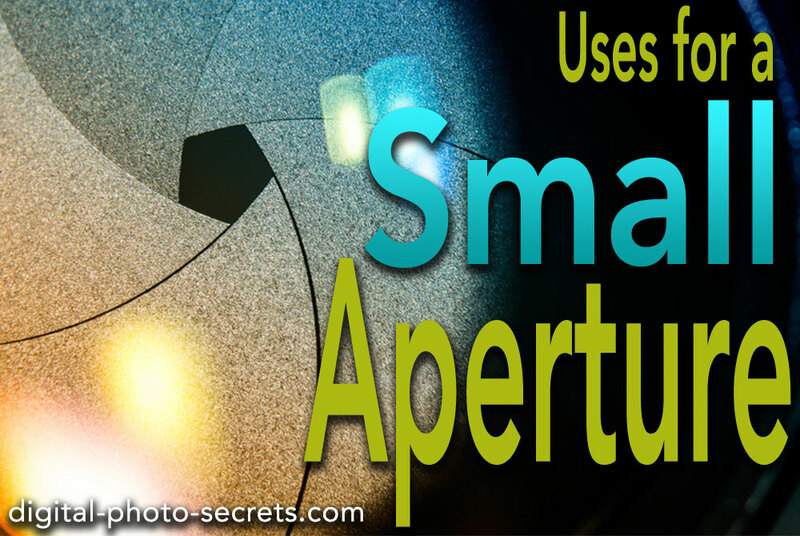 Of course, if you've been doing anything more with your camera than just taking snapshots, you already know that aperture is more than just choosing a setting based on the available light. Most of the time, in fact, you'll be selecting your aperture for different reasons. You've heard the term "depth of field" a lot, I'm sure. Depth of field is a pretty simple concept, really, it simply refers to the amount of the scene that will remain in focus when the picture is shot. 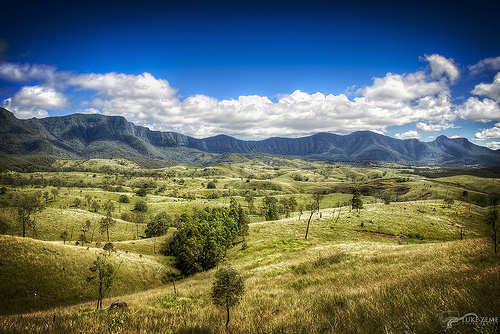 An image with broad depth of field is in focus from a point very close to the camera to a point very far in the distance. In an image with a shallow depth of field the subject may be the only part of the scene in focus, with the foreground and background falling rapidly out of focus. In images with very shallow depth of field, only part of the subject may be in focus. Depth of field corresponds directly with aperture: images that have a shallow depth of field were shot with a wide aperture; images with a broad depth of field were shot with a smaller aperture. 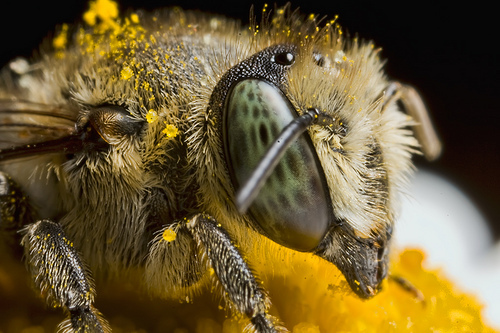 Macro images fall out of focus very quickly even at smaller apertures. To capture the most detail in that flower, bug or sea shell, you will want to select the smallest aperture your lens offers. This will of course also require that you use a slower shutter speed, and quite possibly a tripod. Sometimes you're so wrapped up in your subject that you fail to notice the crazy, ugly background just behind her. 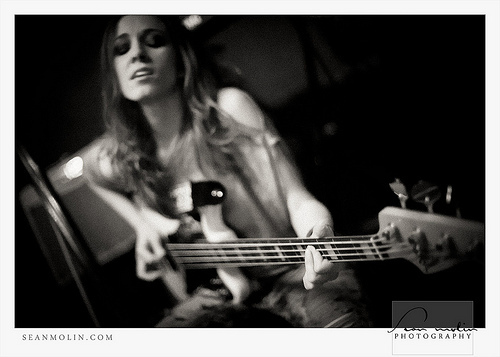 A busy background can really detract from your subject and make for an image that is chaotic and difficult to look at. In situations like this, it is best to choose a shallow depth of field (a larger aperture, small f number) to blur out all those ugly background details. When they fall out of focus your viewer will no longer notice them, and will focus instead on your subject. You don't always want to blur those backgrounds, especially the ones that aren't ugly. Context can be very important in photography. 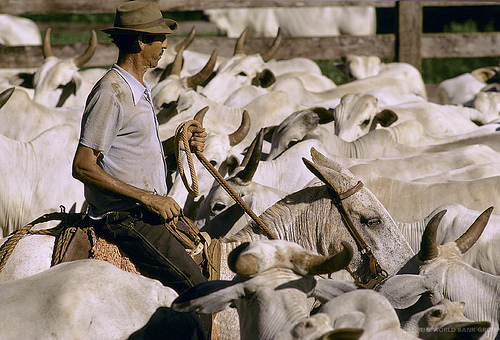 For example, if you're shooting an image of a cowboy driving cattle, blurring out the cattle means you're blurring out an important part of the story. 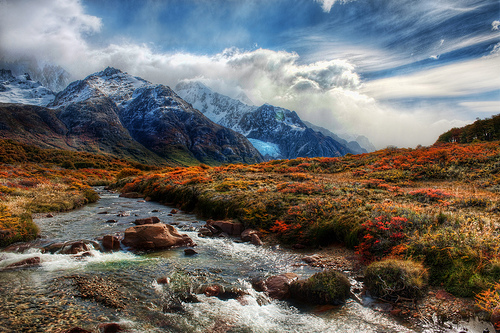 Think about whether or not that background is going to be important to the image as you want to portray it. If it is, choose a smaller aperture (large f number). If it isn't - or if it's so chaotic and distracting that it actually competes with your subject - blur it out with a wider aperture. 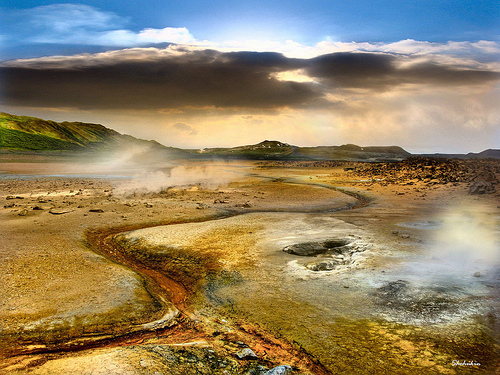 Most of the time (but not all of the time), you will want your landscapes to be in focus from foreground to background. This is because you want your viewer to see the scene as if he or she was there, taking it all in. 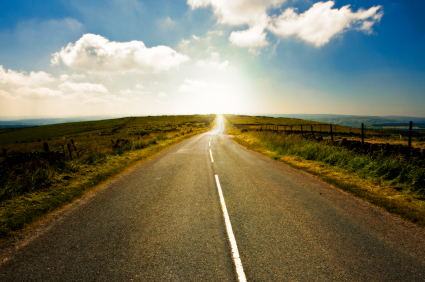 A smaller aperture will give you a much greater depth of field across your whole image. 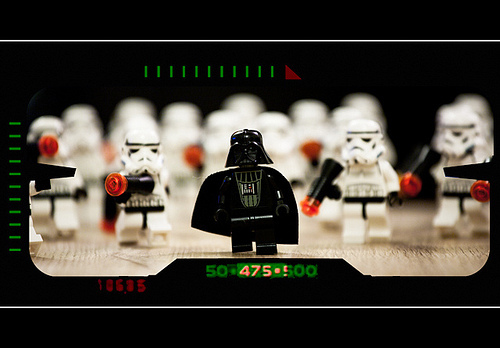 Let's say you're photographing a collection of Lego storm troopers, and just for some contrast you've placed Darth Vader somewhere in the middle of the crowd. You may want to selectively focus on Darth to help set him apart from his minions. In this case you would use a larger aperture and make sure you kept your subject within that shallow depth of field. If you wanted Darth to blend in a bit with his storm troopers, you would choose a smaller aperture instead - this would bring him and the all the rest of the figures into focus. There's nothing wrong with either approach, of course - it's not necessarily important which choice you make, what's important is that you consciously make the choice rather than allowing that evil "auto" setting to do it for you. Now I'm going to leave you with a challenge: This week, go out in your local area and find one situation that is similar to each of the situations described above. 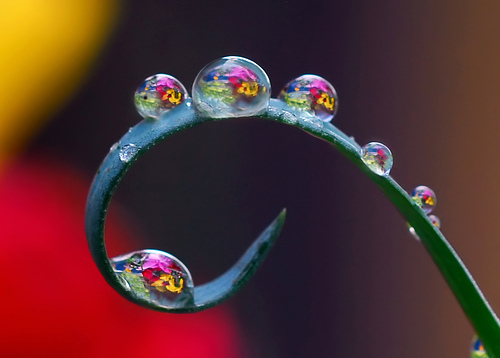 Take a photograph using the depth of field/aperture that you think is appropriate for the scene. Then take another one that's the exact opposite. Come home and compare the two images. How does the aperture you chose make or break the image? Are there any cases where you might have made the wrong choice, or where the choice you made surprised you? Ultimately, all rules can be broken and there may not be any right or wrong choices. The situations I describe above are simply guidelines for using aperture, but remember that the artistic choice is ultimately up to you. Thank you. I found the article very interesting, and educational. It also raised a question. I see the camera information under the photos above use two different way to convey the shutter speed: 0.004 sec. and 1/250. Why is this? Is this a new trend in photography? Not really a new trend. Most recent cameras use the decimal notation to specify a shutter speed, but us humans find the fractional version easier to understand. So where it's practical, I've included both! I think this is a perfect explanation of DOF and how it applies to the f-stop. Great work. You take what is difficult for me and make it easy as you explain it so well. Thank you. With Aperture, I kept thinking the numbers were all about d.o.f. and forgetting about the amount of light allowed in. This article has helped immensely. I am a beginner. Magnificent and complete exposition of the subject inherent in a master. Clear, didactic and concise. Thanks for sharing. 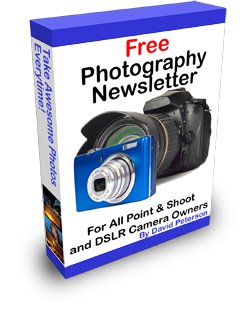 A rich flow of photograpgy facts that water the dry landscape of a beginner photographer mind like nyself. I gave up on my DSLR a few years ago, so heavy and lacking in immediacy, and never mastered it. Been using Sony RX100, great camera. But I now want to get really into photography again and am about to buy a mirror less camera. Reading your info I now feel I am starting to finally break through the barrier. Thank you so much!! nearly getting it. Then when I mix up aperture with depth of field and i completely lose it....and then mentions shutter speed.. totally gone. However your articles are perfect. Just the student...... Loling.